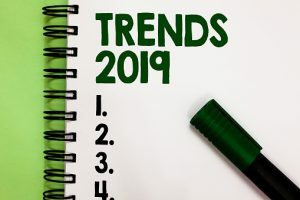 Wondering what the hot careers will be in 2019? And once you identify them, are you curious to know how you can boost your own credentials to earn a job in an in-demand field? One good place to start is with an IT certification. When LinkedIn analyzed hiring trends to identify the most in-demand jobs of 2018, four out of the top five were in the tech field. Network or join a professional association to learn more about local trends in the IT industry. You might already know someone who can help you learn about the field, but if not, you can connect with others at association events. Identify certifications that can help you demonstrate your skills to potential employers. Visit CareerOneStop’s Certification Finder and search for “IT” or a more specific skill. You’ll see a list of certifications and then you can filter by specific career fields. Pay particular attention to certifications that are marked with a red chili pepper icon—they have been identified as in-demand by a analysis of job postings. Find a local training program. If you’re planning on going back to school, investigate schools in your area that have classes or programs in fields you want to enter. Not sure what those are? See above, and check in with other professionals to find out what’s in-demand or where your current skills might best line up.